Digital radio was launched in the commercial marketplace in March 2007. The first company to produce a DMR (Digital Mobile Radio) product was Motorola. Their pioneering MOTOTRBO product range introduced a whole world of possibilities to what had been a stagnating analogue dominated marketplace. Digital offers a range of features and functions including increased system capacity, increase spectrum (frequency) efficiency, integrated data communications and enhanced voice communication. 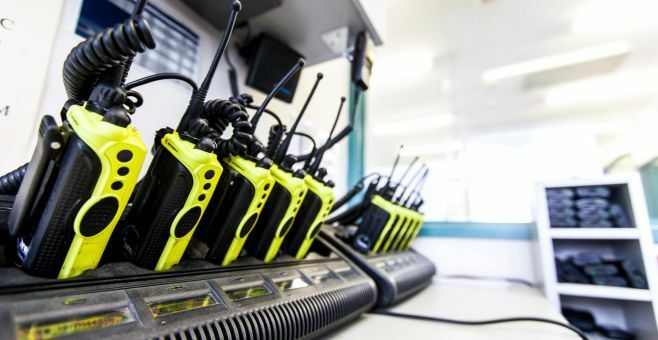 There are two principal standards available DMR (Digital Mobile Radio) and dPMR (Digital Private Mobile Radio). DMR uses TDMA (Time Division Multiple Access) technology where the standard 12.5kHz wide voice channel is split into two virtual 6.25kHz channels across two ‘timeslots’ divided in time. Imagine a banana cut into chunks with every other slice being timeslot 1 and the ones in between being timeslot 2.
dPMR uses FDMA (Frequency Division Multiple Access). Here the 12.5kHz channel is sliced down the middle giving two actual channels with a bandwidth of 6.25kHz each. Again use the banana picture but this time sliced along its length. One of the key benefits to digital radio in both technologies is the ease with which networks can be joined together using the Internet. It is now possible to quickly and cost-effectively create multi-site networks across diverse geographic locations. There is also a wide range of third party software applications designed to make use of the technology. These include dispatch and tracking applications, telephone interconnect, text messaging and data acquisition products. Developments like Hytera’s Pseudo Trunking and Motorola’s Capacity Plus and Linked Capacity Plus offer the ability to make best use of the physical channel capacity available and to build sophisticated networks for a fraction of the cost of their analogue equivalents.